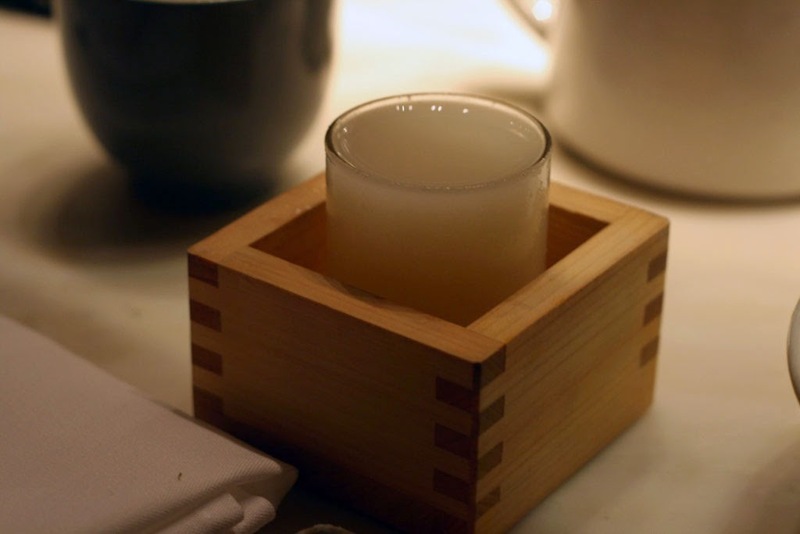 When we did our research for places to eat in Texas, one of the food tips that stood out was the Sake Social at Uchiko or Uchi. In our food calendar for the week (yes, we have a food calendar when we travel! 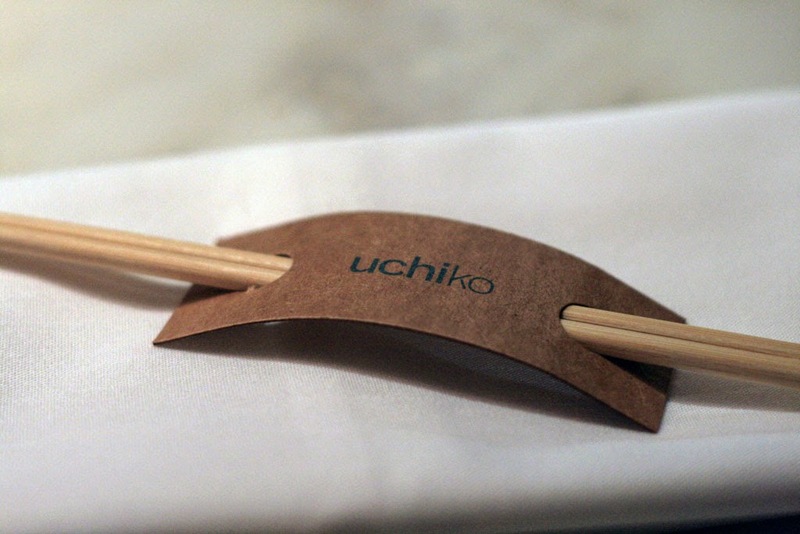 ), Uchiko was planned for either in Houston or Austin. After exploring Austin most of the day by taking some easy hikes, enjoying some beautiful views and dipping our foot in the Barton springs we decided to freshen up and make it to the Sake Social at Uchiko Austin for 5pm. 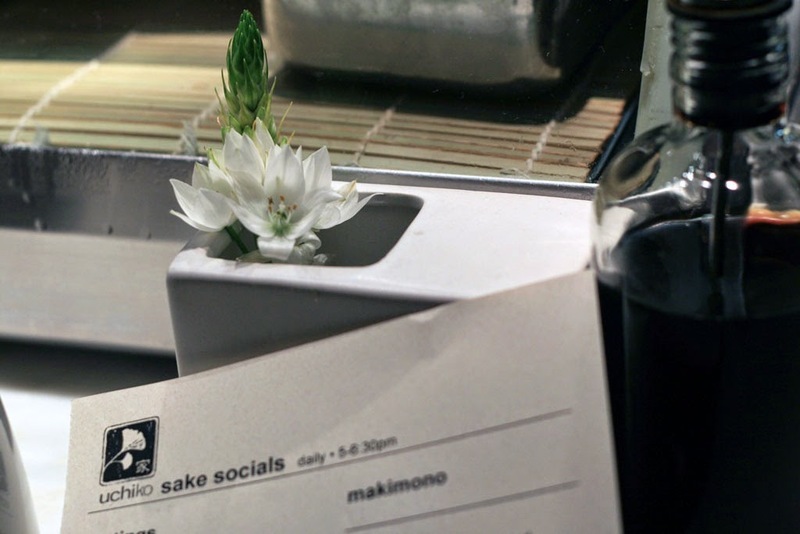 The Sake Social happens every day from 5-6:30pm. 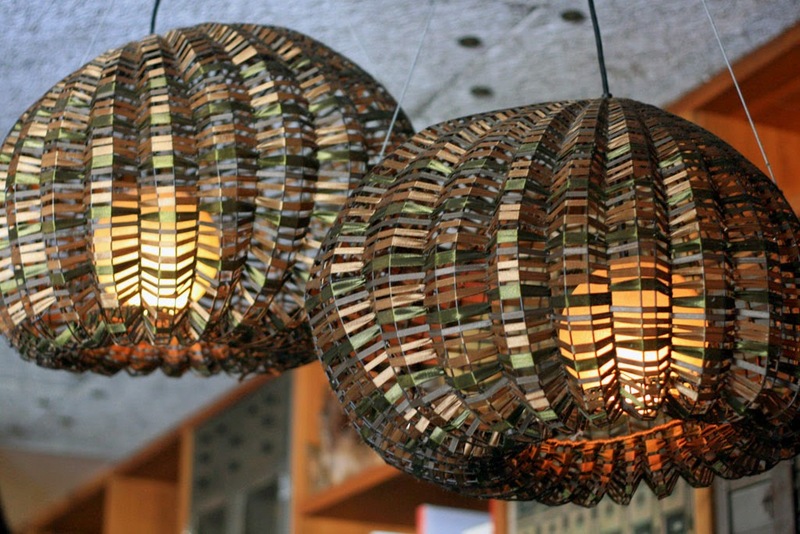 It is pretty much happy hour with drinks and food at "happy hour" prices. Here's a link their sake social menu. 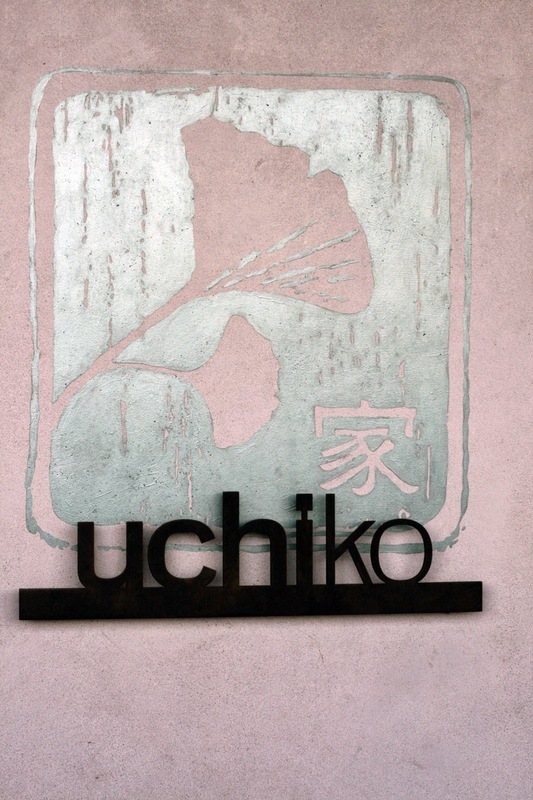 Thankfully, the place we were staying at was fairly close to Uchiko, so we made it there very close to 5pm. Upon arrival, Dan and I were treated to their complimentary valet service. Seriously, such a great service to have as it's harder to find free parking in Austin. Also another first for us in Austin as I am pretty sure we haven't experienced that before. Once we arrived, I was more than excited to find out that there was still space at the sushi bar! 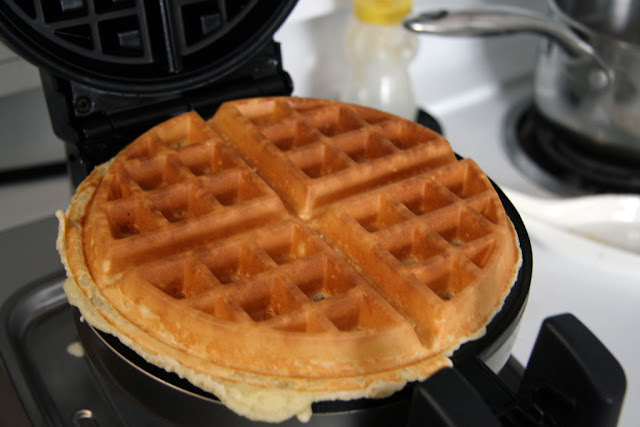 This was also a food tip from what we read and I highly recommend doing the same if you are a small party of 1 or 2. 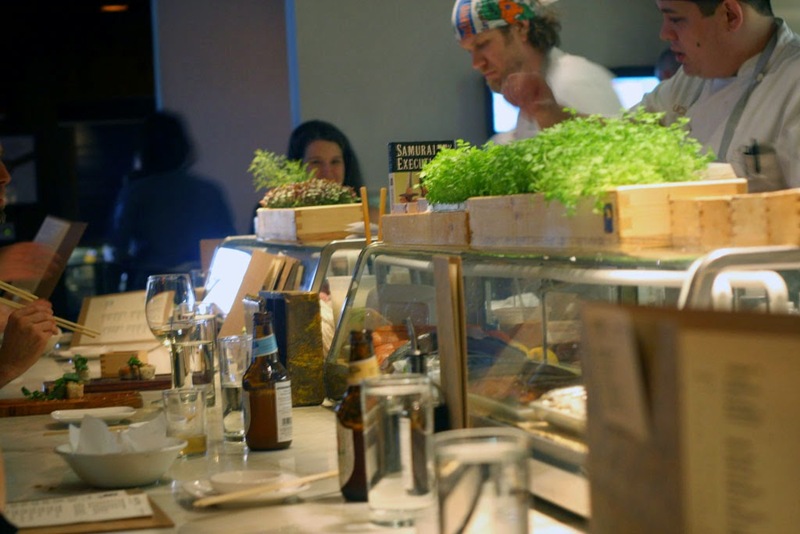 While sitting at the sushi bar you not only get to see all the food action, but you also get to interact with the sushi chefs. After we sat down and ordered our drinks, the chef who was working in front of us, Kelsey, introduced herself and gave us some great recommendations on where to start in the Sake Social menu. We started with the crispy Brussels Sprouts that had a sweetness from the fish caramel (we think it's caramelized fish sauce) and finished off with lemon and chili. 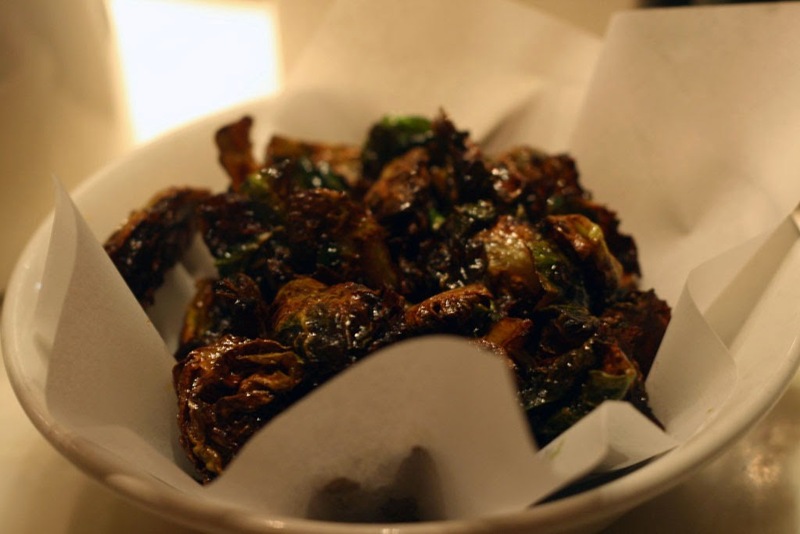 I don't usually love brussels sprouts, but if they are always presented this way I definitely could eat more of them! I love hamachi (yellowtail) so when I saw that their Negihama roll had yellowtail, I knew I had to order one of those. 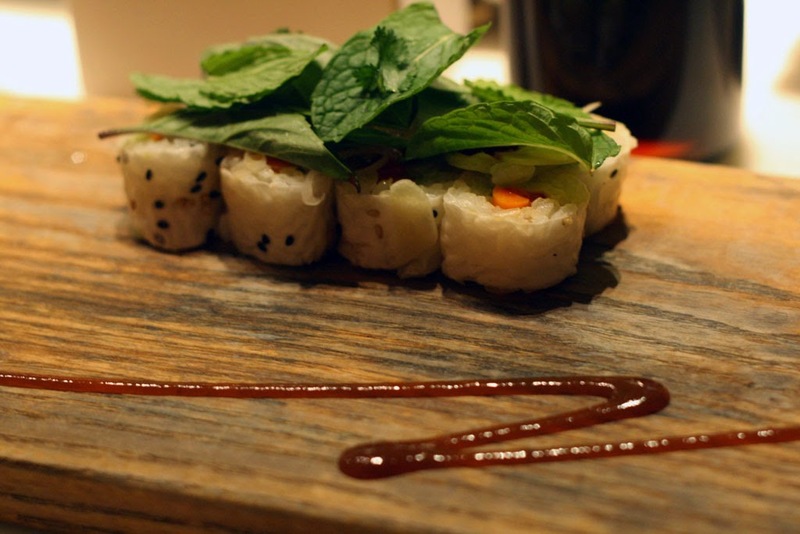 In fact by the end of the night we ordered two of these rolls! 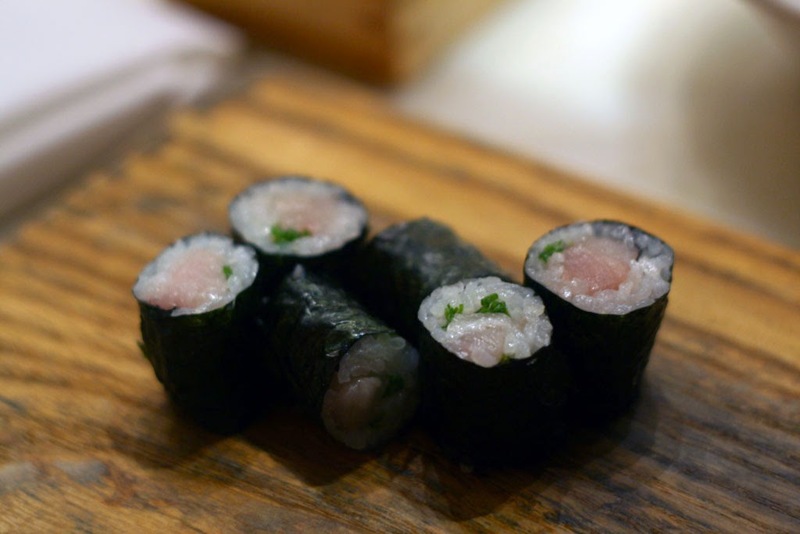 Uchiko's yellowtail actually comes from Japan, so we even had a taste of Japan tonight. The next dish we had was the Koviche. A play on ceviche with fresh diver scallops, black lime, kalamata and tomatillo. Tomatillo is actually part of the tomato family and added a slightly crunchiness to this dish along with the scallops and balanced very well with the lime. The next dish that Kelsey recommended was the Bacon. You can just see the crispy rice peeking out from this dish, and there is an ajitama egg buried under the onions, cilantro and cucumbers. Using a spoon we mixed the egg and all the ingredients in the bowl together. I would characterize this dish as comfort food. Probably because crispy rice and and an egg harkens memories of childhood for me. The Komaki Roll was probably Dan's favourite plate of the night. Think: Fresh. Mainly due to the pickled red peppers, gobo (burdock root), carrot, topped with onions and mint leaves. It was also wrapped in a soy paper (as opposed to the usual sea weed wrap) which made the roll very unique. 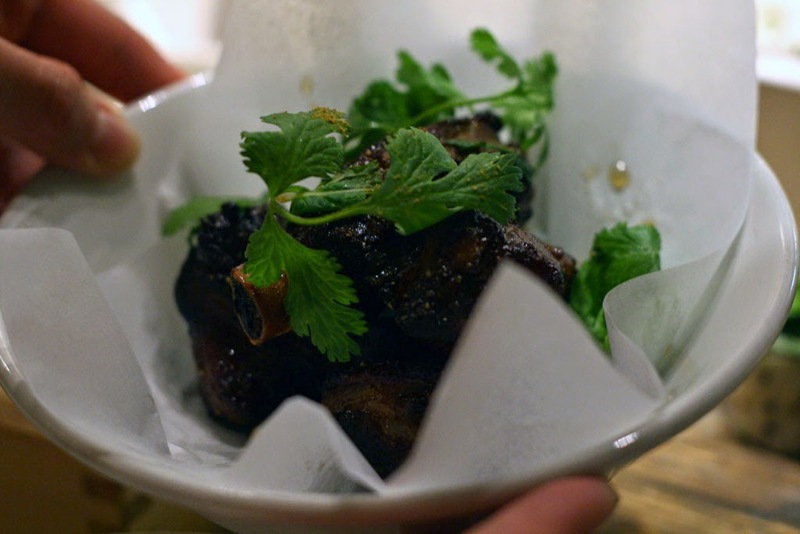 The pork ribs which came after were super soft, like, fall-off-the-bone soft. 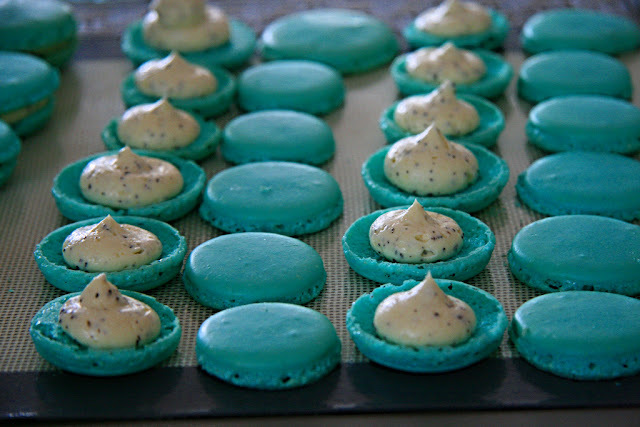 Kelsey explained that this was because they were prepared in a sous vide bath and finished on a grill with galangal (which is part of the ginger family). 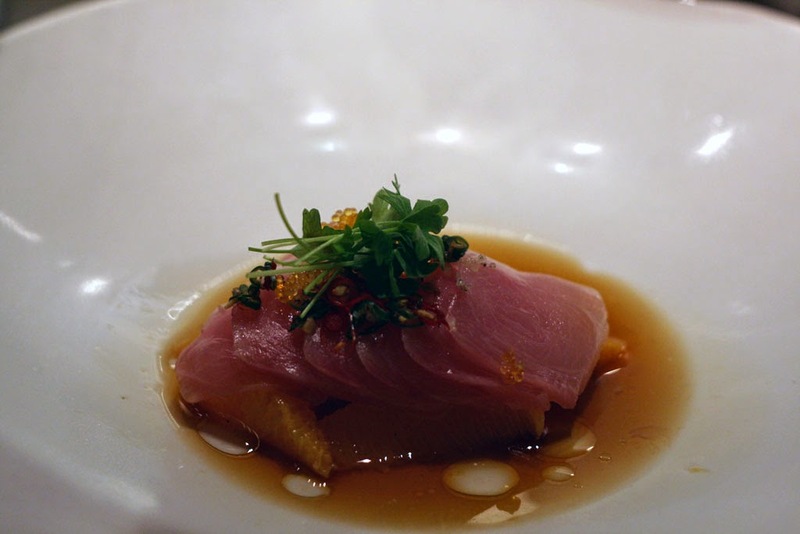 Hearing how much I love hamachi, Kelsey/Uchiko treated us to a dish called "Hama Chili". The Japanese yellowtail rested on sliced orange supreme in ponzu sauce and was topped with thai chili. It was melt in your mouth yellowtail. Dan and I, then, decided to venture out of our comfort zones a little; or more like I ventured out of my comfort zone and ordered the gyutan nigiri. If I didn't know, I would have no idea that this was grilled beef tongue as it was so tender. The yuzu kosho (made of lime zest, yuzu, thai chili) balanced the flavour of the beef tongue very well. I also noticed that there were fresh oysters on their daily special menu. So, Dan and I ordered half a dozen Beausoleil oysters. 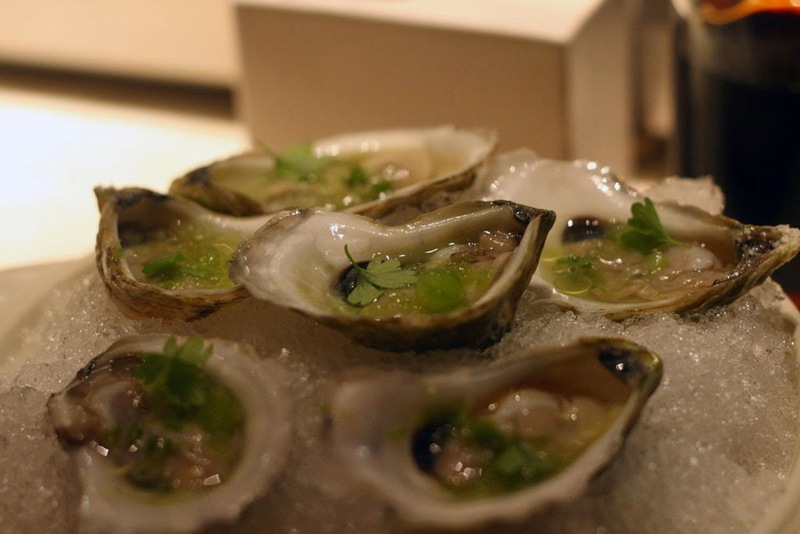 These oysters have a nice briny start and a sweet finish. 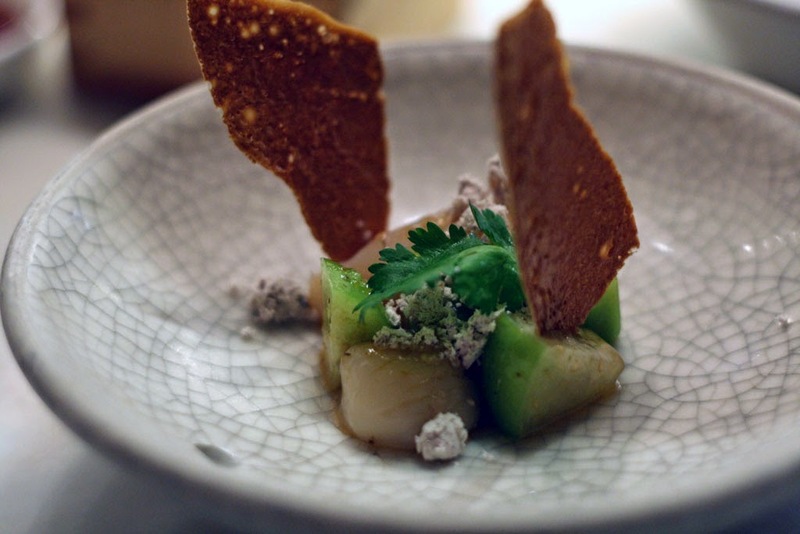 In this case, Uchiko also flavoured theirs with cucumber granita, lime and a touch of chili. We were starting to get full by the time we got near to desserts. Now, for those of you that know me, there is one Cantonese style dessert that I love called Deep Fried Milk. 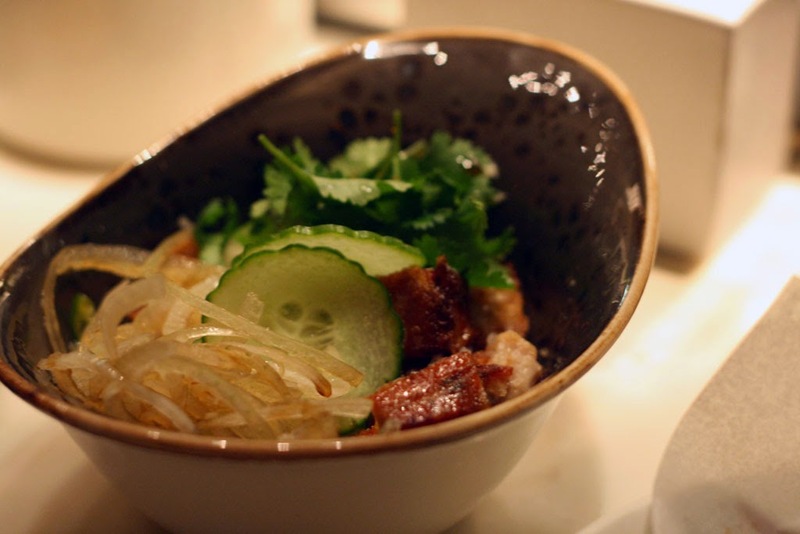 In his research, Dan noticed that Uchiko also had their version of Fried Milk. Their deep fried milk has a roasted corn flake crust, and accompanied by whipped chocolate milk, toasted milk, and an iced milk sherbet. So good! 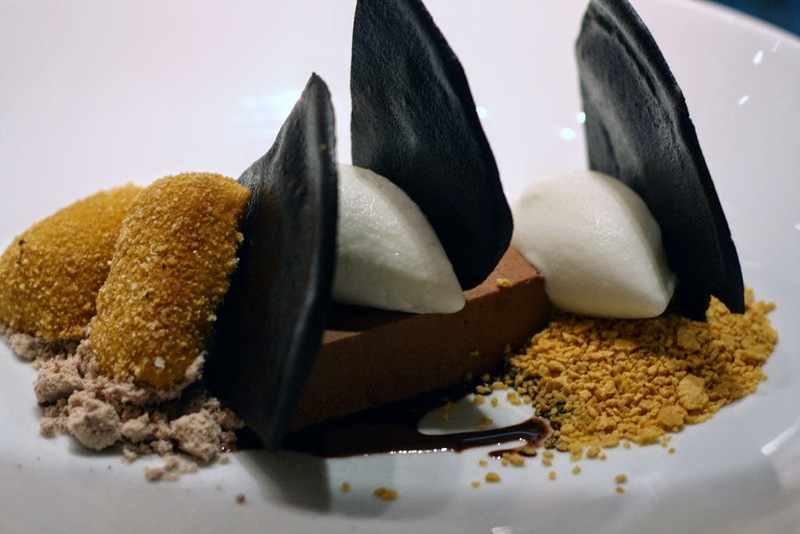 Last but not least, was Kelsey's favourite dessert that she ordered for us of the Sweet Corn Sorbet. 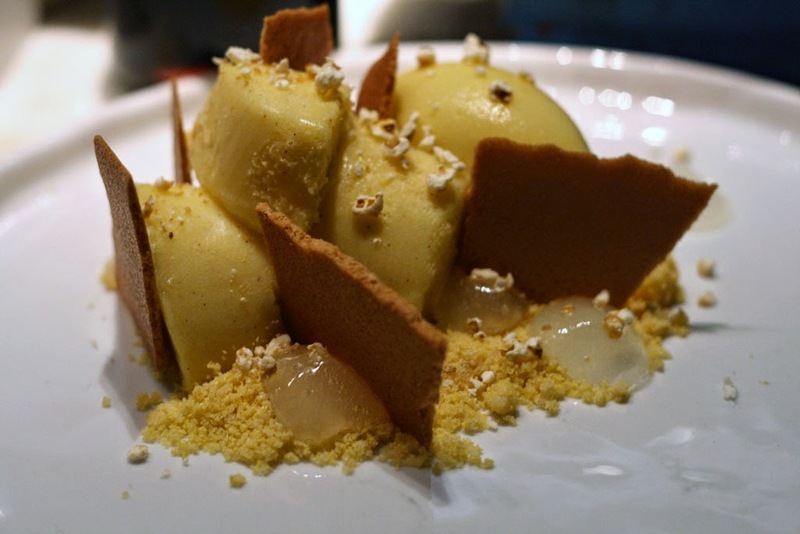 Polenta Custard, caramel salt, and lemon gelee. I really liked how the lemon flavour interacted with the polenta custard. I am thinking I will have to try making a polenta custard once we get home as my friend who is gluten free would love this! 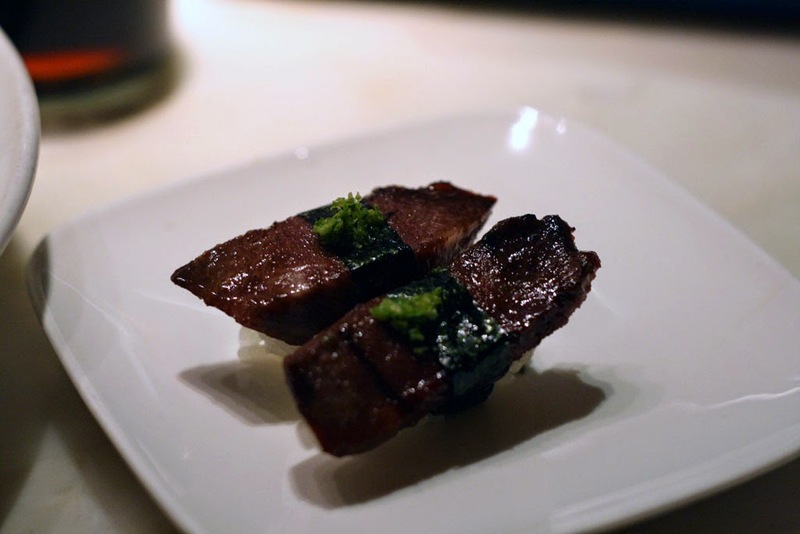 We really enjoyed our time at Uchiko and I would definitely recommend visiting during the Sake Social. The staff are really friendly and helpful, and if you are able to, sit at the sushi bar since you will get a great interactive experience.